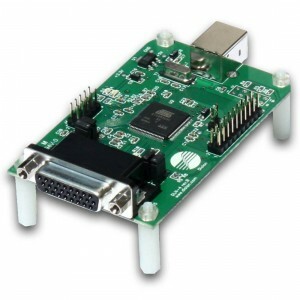 USB-IO adapters allows you to use the adapter pins as general purpose input/output lines. 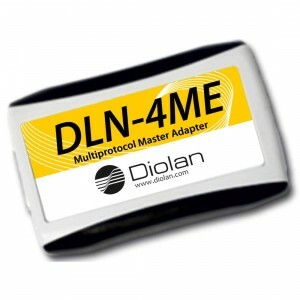 The most functional model is DLN-4S adapter. 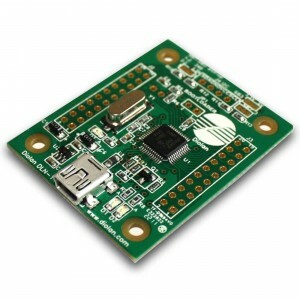 It is available both with a plastic enclosure (DLN-4SE) and as an assembled PCB board. The main advantage of DLN-4S USB-IO adapter that you can use up to 48 IO pins, which support pull-up resistors, debounce filter and open drain mode. 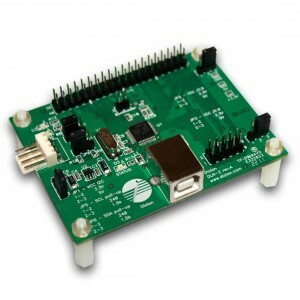 You can start with DLN-4S USB-IO adapter. Later, when you clarify the requirements, you can switch to a cheaper adapter. 48 GPIO pins that can be used as digital inputs or digital outputs. You may set output values for digital outputs and get current values both for inputs and outputs. pull-up resistors at all I/O pins. debounce filter, which avoids sending numerous events due to contact bounce. The new value is only accepted if it is stable for a predefined period of time. open drain mode at all I/O pins. user configurable event generation conditions. 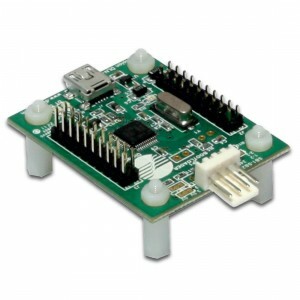 When the input level meets the specified requirements in USB-IO interface, the adapter sends an event to your application. 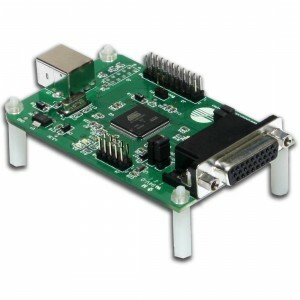 Supported interfaces: I2C & SPI bus master, 32 digital I/O, four 10-bit analog inputs, PWM output and 32-bit pulse counter. PC connection: Full-Speed 12 MHz USB. Supported Interfaces: I2C Master (up to 1MHz), SPI Master (up to 18MHz), 32 digital I/O, 8 10-bit analog inputs, 2 PWM outputs, 3 32-bit pulse counters. Event-driven and polling based interfaces. Supported Interfaces: I2C Master (up to 1MHz), SPI Master (up to 48MHz), 48 digital I/O, 4 10-bit analog inputs, 4 12-bit analog inputs, 4 PWM outputs, 3 16-bit pulse counters. Supported Interfaces:I2C Master & Slave (up to 1MHz), SPI Master & Slave (up to 48MHz), 48 digital I/O, 4 10-bit analog inputs, 4 12-bit analog inputs, 4 PWM outputs, 3 16-bit pulse counters. Supported Interfaces: I2C Master & Slave (up to 1MHz), SPI Master & Slave (up to 48MHz), 48 digital I/O, 4 10-bit analog inputs, 4 12-bit analog inputs, 4 PWM outputs, 3 16-bit pulse counters.